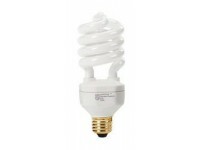 13 Watt Spring Lamp. Med Screw Base. Color Temp - 2700K Replaces 60 watt incandescent. 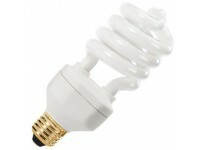 ..
15R30 5000K MEDIUM BASE Energy saving screw in light bulb Replaces 65BR30 incandecent bulbs NOT D..
15 R30 3000K Energy saving screw in light bulb Replaces 65BR30 incandecent bulbs NOT DIMMABLE 15..
15R30 4100K MEDIUM BASE Energy saving screw in light bulb Replaces 65BR30 incandecent bulbs NOT D..
20R40 3000K MEDIUM BASE Energy saving screw in light bulb Replaces 85BR40 incandecent bulbs NOT D..
20R40 4100K MEDIUM BASE Energy saving screw in light bulb Replaces 85BR40 incandecent bulbs NOT D..
20R40 5000K MEDIUM BASE Energy saving screw in light bulb Replaces 85BR40 incandecent bulbs NOT D..
Sunshine 20 Watt Spring Lamp. Med Screw Base. 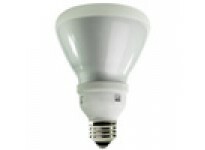 Color Temp - 5500K Replaces 75 watt incandescent. 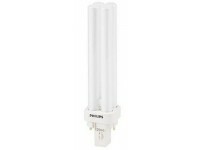 Sad ..
13 Watt - PL-C Shape - G24q-1 Base - Color Temp 2700K - Cluster 4-pin Fluorescent Bulb - Electronic ..
13 Watt - PL-C Shape - GX23-2 Base - Color Temp 2700K - Cluster 2-pin Fluorescent Bulb PHILIPS BRAN..
13 Watt - PL-C Shape - G24q-1 Base - Color Temp 3000K - Cluster 4-pin Fluorescent Bulb - Dimmable El..
13 Watt - PL-C Shape - GX23-2 Base - Color Temp 3000K - Cluster 2-pin Fluorescent Bulb PHILIPS BRAN..
13 Watt - PL-C Shape - G24q-1 Base - Color Temp 3500K - Cluster 4-pin Fluorescent Bulb - Dimmable El..
WhatWatt.com is a U.S. based small business and a women owned business. © 2013 WhatWatt.com. All Rights Reserved.